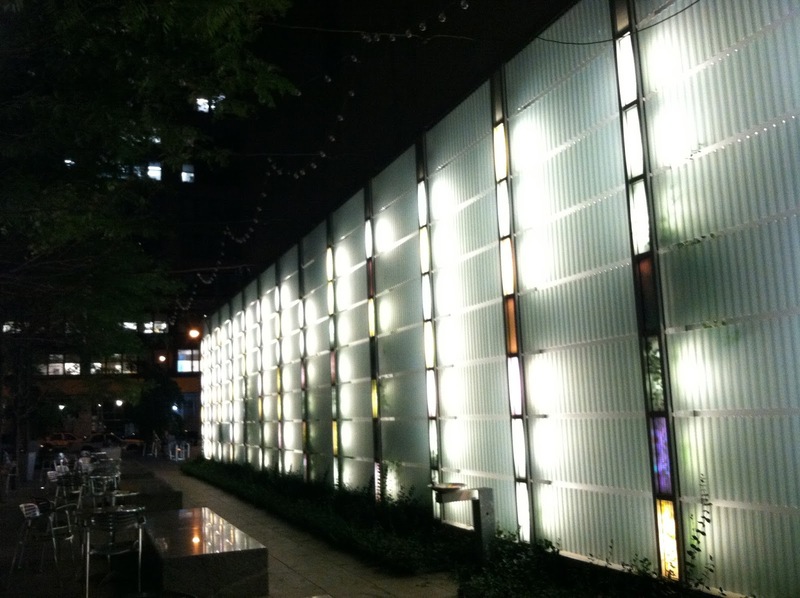 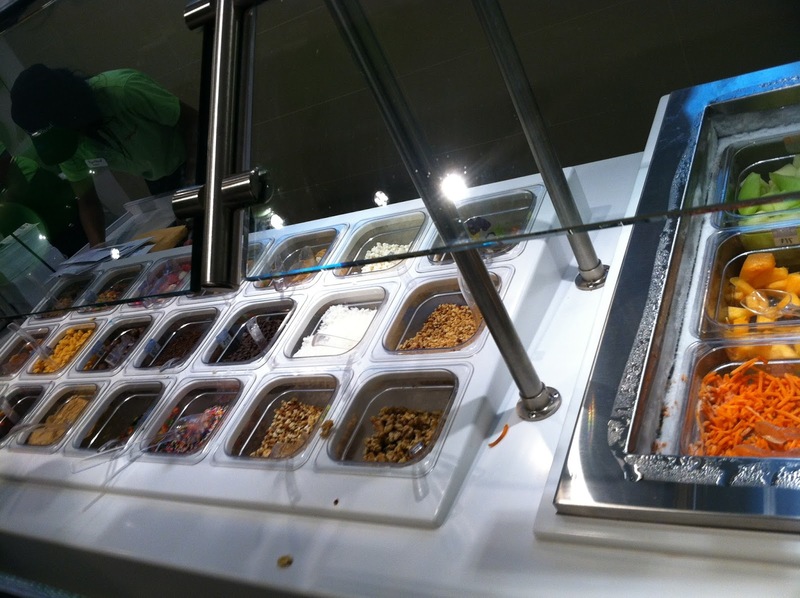 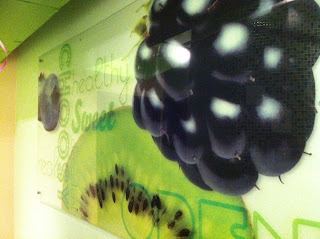 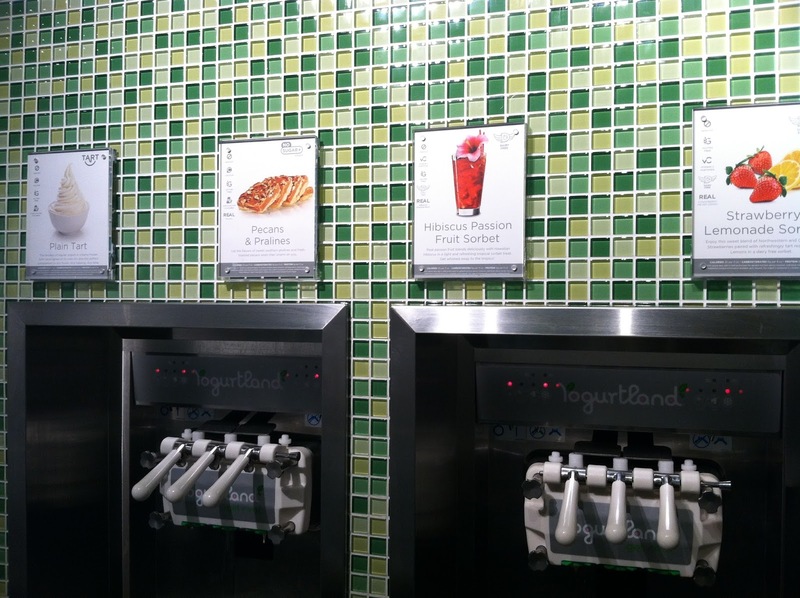 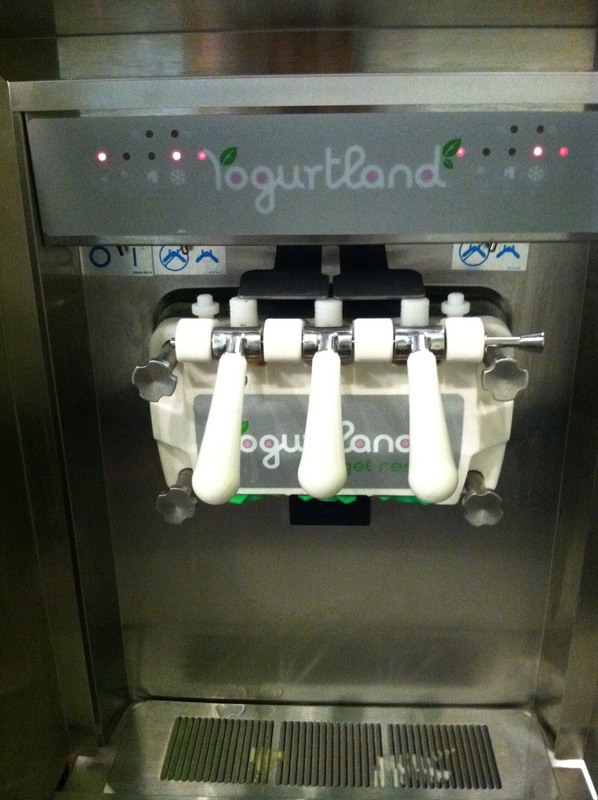 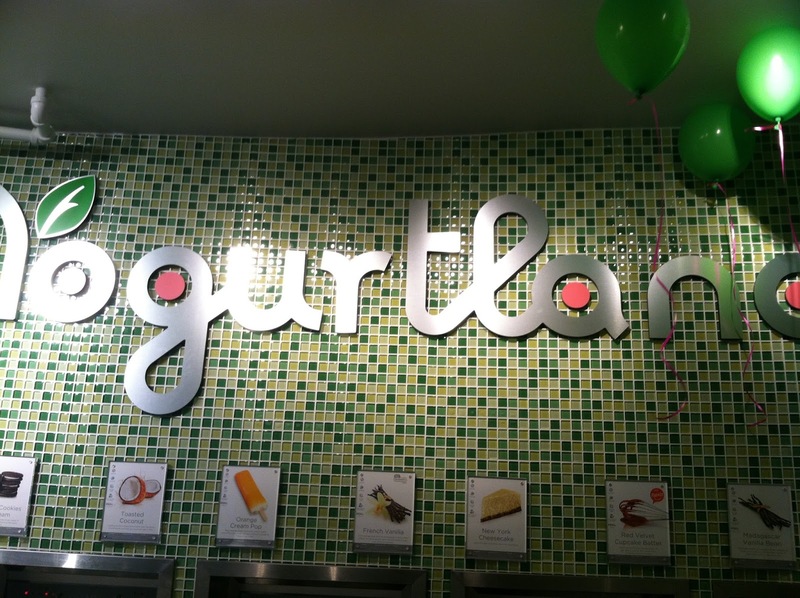 La Belle Boulangerie: I Rave for Yogurtland! 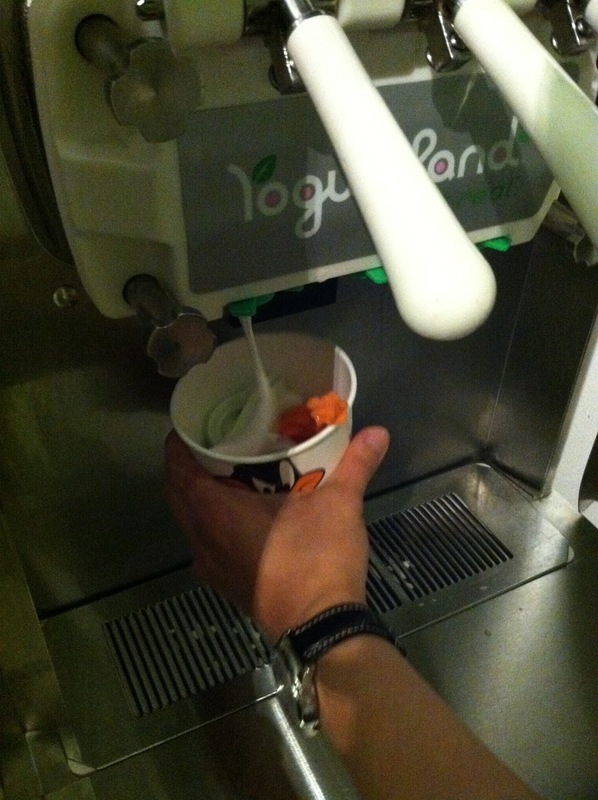 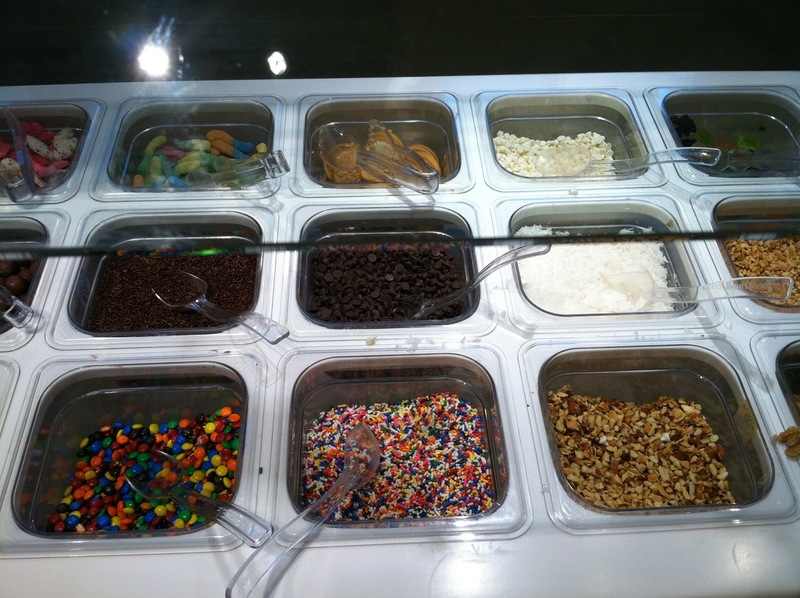 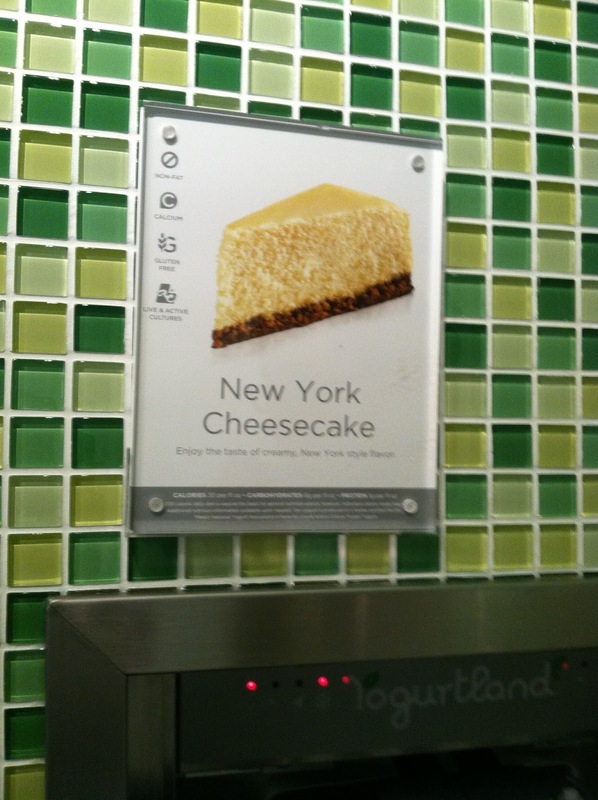 After work Hubby and I went to Yogurtland, another self-serve sensation like Red Mango. We sampled the Hibiscus Passion Fruit, which was kind of dulled down. 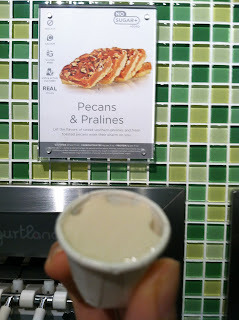 I liked the pralines but Hubby didn't. 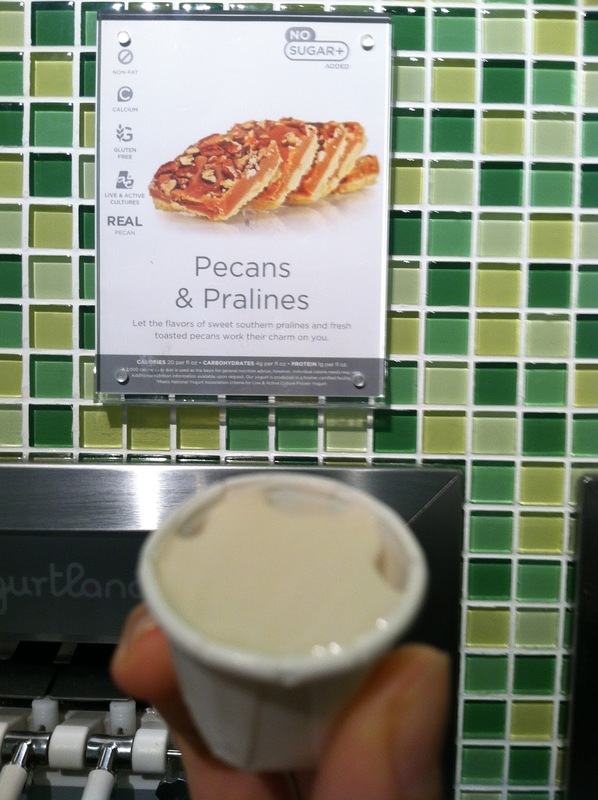 It was pretty sweet with a distinct praline flavor. 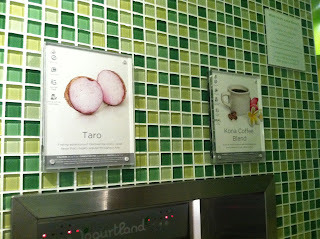 We both really loved the taro flavor - it was authentic, coconuty and just the right amount of sugar. 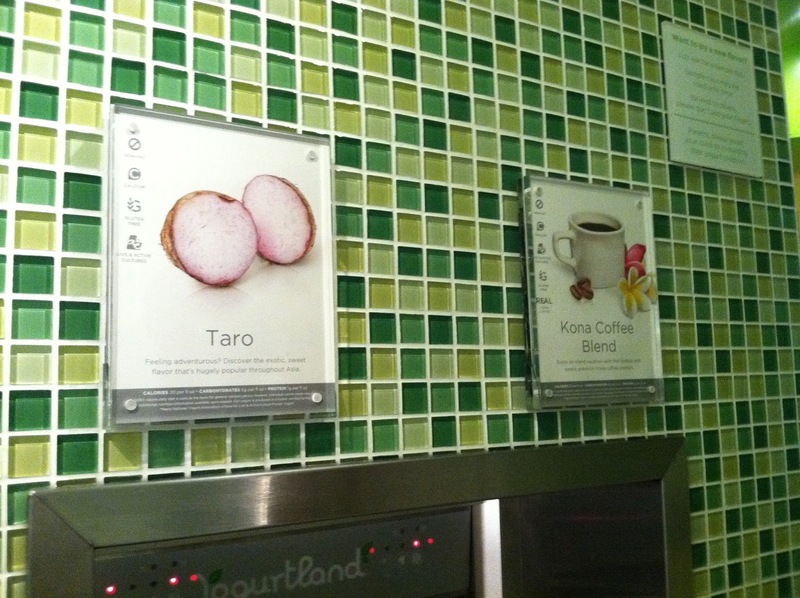 The kona coffee was kinda disappointing, because the coffee was too overpowering. 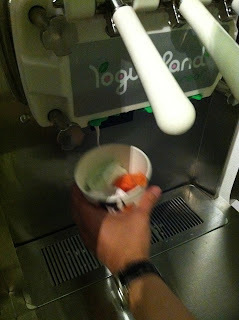 We settled on taro, pistachio (really creamy, really good) and strawberry/banana sorbet. 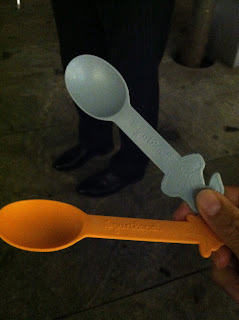 I still couldn't believe they gave us like 5 sample cups each - you could become full after all those samples! But since Hubby and I both didn't eat dinner it was a great excuse to indulge in some "low-fat" (nothing is really low-fat these days) yogurt. 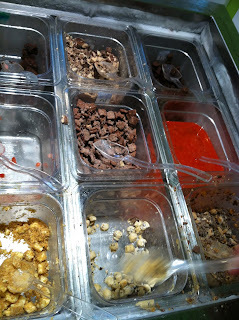 We settled on some almond slices, cookie dough and cookie crumbs. 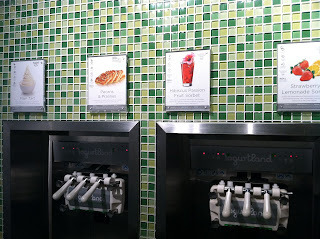 The strawberry/banana combination didn't taste as I had expected. 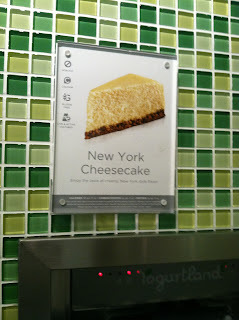 That was the only one that we didn't sample - it tasted too artificial. 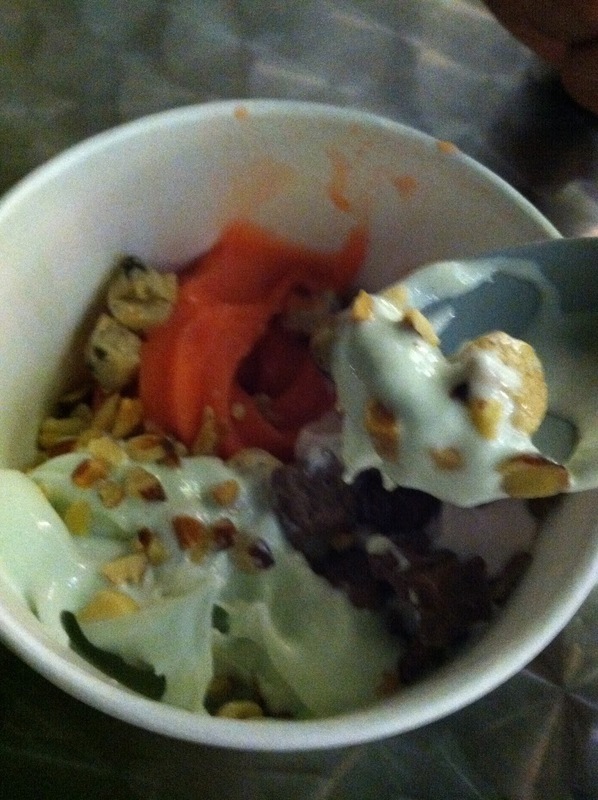 Pistachio and taro definitely lived up to our expectations. 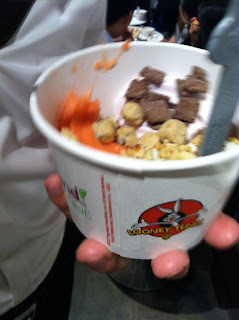 The cookie dough was a bit too sweet but the cookie crumbs was just right. We took our yogurt to a nearby outdoor park to enjoy, since the indoor seating was way too crowded. 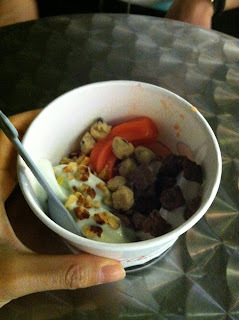 Enjoying yogurt on a lovely summer night - simply delicious .